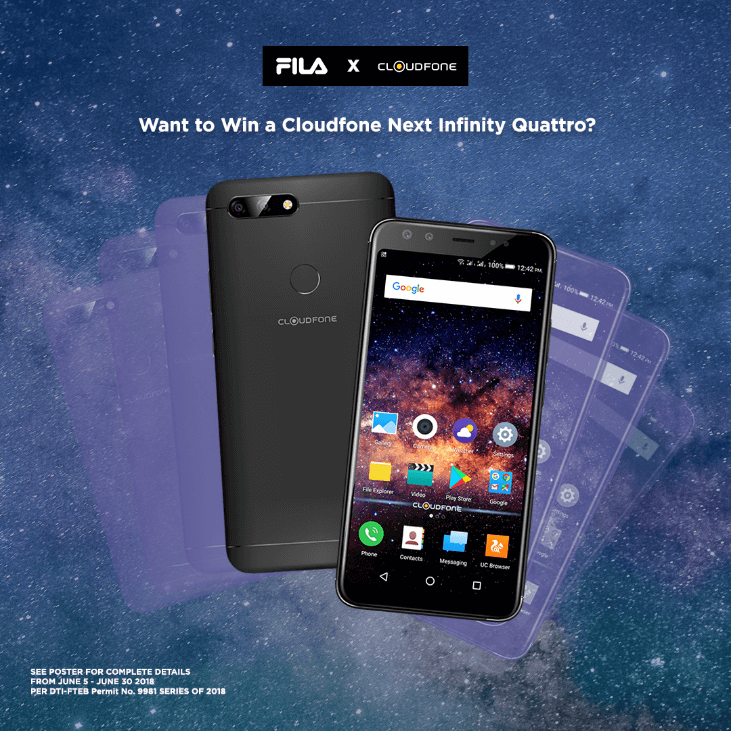 Staying true to its promise of giving its fans something awesome, Cloudfone released a series of camera-centric smartphones in the Cloud Next Infinity series – the Next Infinity, Pro, Plus and Quattro. All of which feature an 18:9 display for a more cinematic viewing experience. 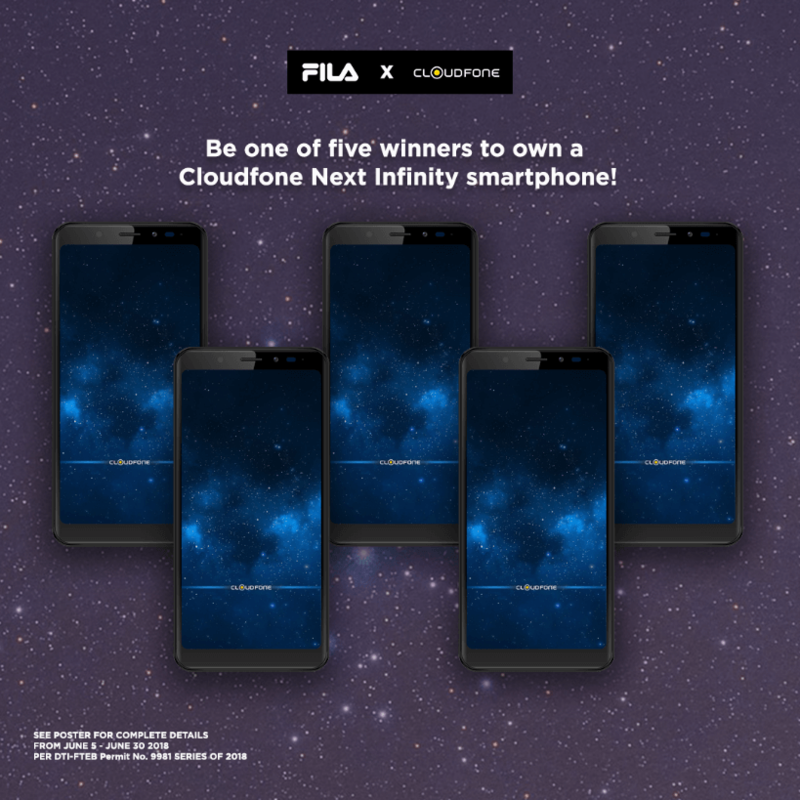 Recently, the company has announced a partnership with popular shoe brand FILA, to create an awesome promo for those who have passion for fashion, and a taste for awesome devices. Plus, Pro and Quattro, or PhP1,000 worth of discount to the Cloudfone Next Infinity! So what are you waiting for? 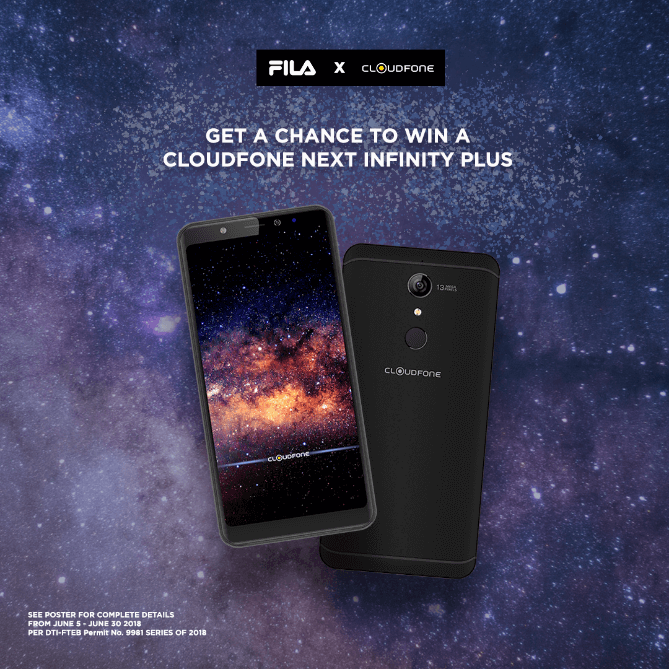 grab your favorite pair of FILA shoes from any store now and get a chance to take home one of the awesome Cloudfone Next Infinity smartphones! For more information, you may visit http://ansible-mnl.com/filacloudfone/mechanics.